The event, taking place Monday through Wednesday August 16-18, 2010 at the Cologne Congress Center East in Cologne, Germany, will once again run alongside the major GamesCom event to present the leading game industry event for developers, consumers, publishers and trade professionals. The event is asking for session proposals beginning now, through via the official GDC Europe website. 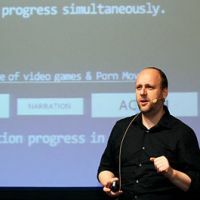 Lectures and panel proposals are being solicited from the international game developer community for all five of this year's conference tracks, which include Business & Management, Game Design, Production, Technology, and Visual Arts. The event marks a return for the successful conference, which in 2009, its first year, saw more than 1,500 participants, including 130 international speakers, 40 exhibitors and 240 media representatives. With the expansion of European developers focused on online and browser-based games, GDC Europe will focus one day of the event, August 17th, to cover social networks and online games, as well as key emerging markets in the region. By once again pairing GDC Europe with GamesCom, Europe's leading consumer and industry show, the conference can offer content to address the development community at a central location in the heart of Europe and command the critical mass of the European games sector. For more information on GDC Europe, for which registration is now open, interested parties can visit the official Game Developers Conference Europe website.